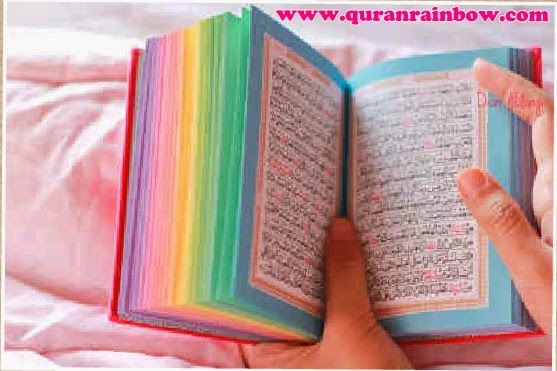 This New Innovation From Quran Rainbow Indonesia how to make something new for give the best thing we can do for any muslims around the world. We always think and make trial how to fulfill and statisfy muslims family needs. 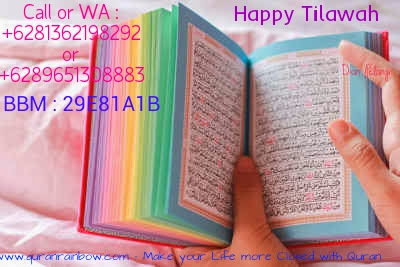 This is combination both Rainbow Quran Falistya and Prayer beads with good combination colours so make they are very beautifull looking. Its very Speciall and Eclusive for Halal Married Couple (Wedding Dowry) or Mahar at Your Married Moment. 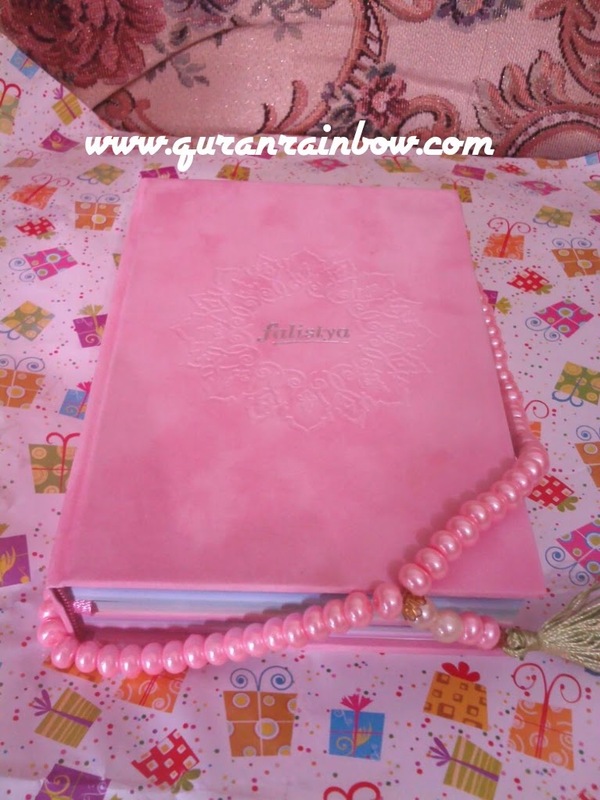 Rainbow Quran Falistya's Cover made From Velvet Material with rainbow page inside plus Beautifull Prayer Beads with matching colours make its very speciall gift for your medding moment. 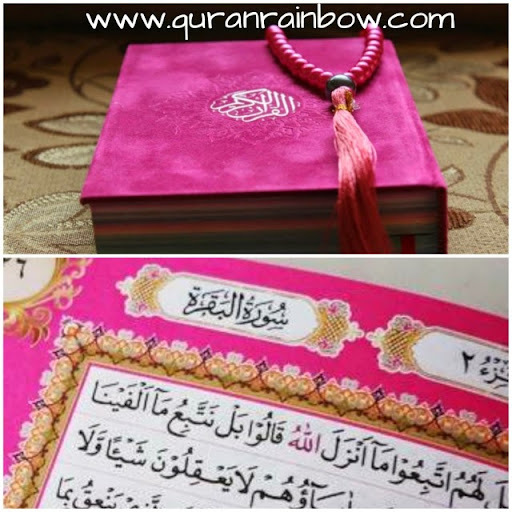 We also accept order as you like for other design of Rainbow Quran Set for Halal Married Couple.